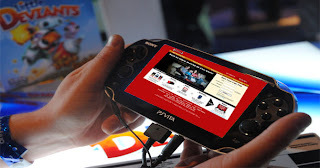 Will PS Vita Support YouTube And Netflix? Many have asked and speculated at the fact that there is no official confirmation for YouTube and Netflix support, however we at PSVitaHub have many reasons to believe that the PS Vita will support YouTube, Flash and maybe even Netflix. 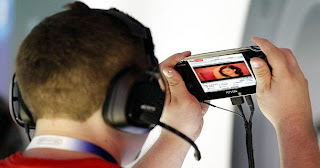 Almost every single smartphone of this generation has access to the very popular video service known as YouTube, All the smartphone company has to do is allow YouTube to create an app for their specific smartphone. But what about YouTube for PS Vita? when the PS Vita is released we can almost guarantee that the PS Vita will support YouTube. Why? you may ask, well basically the PS Vita is almost 3x as powerful as todays high end smartphone. And almost every single Sony smartphone has access to YouTube. So it will be extremely easy to get it for the PS Vita. What about Flash? well flash is mainly cut out of some smart phones mainly because of the battery drain. But knowing Sony there is a pretty good chance that Flash will be supported. And finally what about Netflix? once again we at PSVitaHub are almost certain it will be available for the PS Vita. Why? Netflix is available for the PS3? and the PS Vita has a high enough processor to handle it. So what we can devise from this, is that YouTube, Flash and NetFlix is basically confirmed for the PS Vita. Disagree? well let us know in the comment section below!